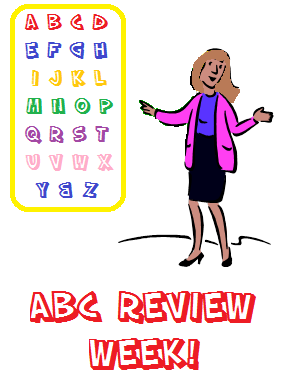 “Alphabet Review Week” is next! “Letter Z is for Zig-Zag Week” was Zany, Zesty, Zippy, Zestful, and certainly Zig-Zaggy! Read on below to learn about the fun that was had and leaning that took place. After studying the alphabet for nearly nine months, it finally was Letter Z Week! The students arrived at school on Monday morning extremely excited to learn all about the last letter of the alphabet! 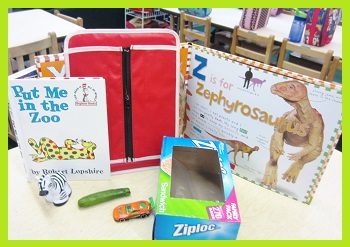 With a share box full of alphabet books, zucchini, zeroes, zig-zags and more, the Letter Z shares sure were plentiful! Of particular abundance were the various zoo animal shares including tigers, lions, monkeys, rhinos, and of course, zebras! The letter Z fun continued throughout Monday and Tuesday morning as the students completed their morning work and worked in their morning stations. 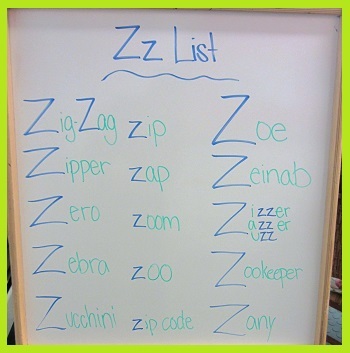 During the afternoon on both Monday and Tuesday, the students brainstormed a list of letter Z words. The columns in the list were comprised of some real Z words and some super silly Z words (or Z sounds rather – like Zap and Zoom!) Here is the list from Tuesday! On Wednesday, the students created the first letter Z/Zig-Zag craft of the week. The students used foam letter Z shaped stampers to create colorful Zig-Zag Z’s all over their papers! Once they began working, the students noticed the silliest thing – the grooves on the foam Z stampers actually made zig-zag zebra-like markings! Take a look below! Speaking of Zebras, the students created some very colorful Zig-Zag Zebras on Thursday! 1. Daddy and I ride this to go into New York City. 2. You have to have a ticket. 3. You have to go down under the ground to get to it. Which type of transportation is it? On Friday, the teachers cleared the room and made way for a PPA Zig-Zag Obstacle Course! The students spent the morning zigging and zagging all around the classroom! Take a look below to see them in action and be sure to view the video (at the bottom of this post) to see the crazy Zig-Zag video too! On Friday afternoon, the students participated in a technology presentation all about the Letter Z! Seeing that the letter Z is the last letter in the alphabet – what better clip to view than one that recaps the entire alphabet! Enjoy! Well, that is all for “Letter Z is for Zig-Zag Week”. As always, thank you for reading. Have a fun and safe weekend! See Miss Jocelyn if you are interested in enrolling in the 2014 PPA Summer Camp!